Tethered Scanner Kit (High Performance Area Imager EA30). Scanner Only - Cables and accessories must be purchased separately. These include USB (Part# 236-240-001), PS/2 (Part# 236-214-001), or RS-232 Serial cables (Part# 236-185-001) and a Power supply (Part# 851-089-205). Tethered Scanner Kit (Linear Imager EV10). Scanner Only - Cables and accessories must be purchased separately. These include USB (Part# 236-240-001), PS/2 (Part# 236-214-001), or RS-232 Serial cables (Part# 236-185-001) and a Power supply (Part# 851-089-205). Tethered Scanner Kit (Area Imager EA20). Scanner Only - Cables and accessories must be purchased separately. These include USB (Part# 236-240-001), PS/2 (Part# 236-214-001), or RS-232 Serial cables (Part# 236-185-001) and a Power supply (Part# 851-089-205). Scanner Kit, 2D Imager Scanner, Extended Range, Corded. Includes Battery, Charge Base And Power supply. Requires US AC Line Cord (Part# 1-974028-025). 2D Imager Scanner, Extended Range, Scans up to 50 feet Away. Includes Battery. 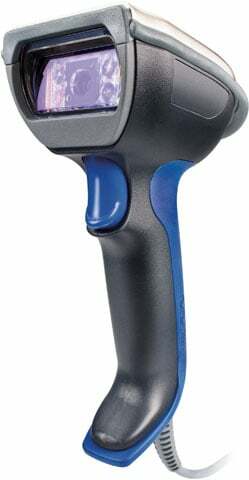 Cordless Scanner, Extended Range and Area Imager. Includes Battery. Kit, includes SR61B linear imager, battery, charger, power supply and Bluetooth adapter. Kit, includes SR61B standard range laser, battery, charger, power supply and Bluetooth adapter (power cord sold separate). Tethered Scanner Kit (Laser Scanner EL20). Scanner Only - Cables and accessories must be purchased separately. These include USB (Part# 236-240-001), PS/2 (Part# 236-214-001), or RS-232 Serial cables (Part# 236-185-001) and a Power supply (Part# 851-089-205). Great price point, Simple and easy configuration. Within 10min of being out of the box the unit was up and running scanning codes. Great for industrial automation.